Scott Reiman’s dedication to civic leadership and philanthropy is deeply rooted in a long history of charitable involvement. Raised with the belief that giving back to the community is a responsibility shared by all individuals and businesses, Scott devotes time and energy to this core value every day. Scott provides significant energy and support to efforts that expand access to high-quality education opportunities. He is a longtime member of the University of Denver Community and has previously served as Trustee. The Reiman School of Finance is named on his behalf. He has supported the university in numerous other capacities over the years. 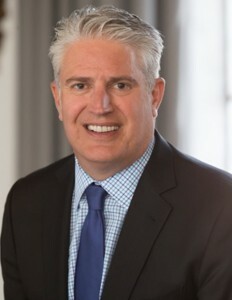 In addition to his work at DU, Scott Reiman was a founding board member of the Denver Scholarship Foundation and serves on the ACE Scholarships Board of Trustees. He has also been an avid supporter of numerous other K-12 schools and programs. An ardent supporter of the arts, Scott Reiman has served as a Denver Art Museum trustee for more than a decade. In that time he has supported a number of important capital improvement projects, most notably the 2006 opening of the Reiman Bridge connecting Daniel Libeskind’s spectacular Hamilton Building and the Ponti Building. Scott has also committed a significant amount of time and resources to the Denver Center for Performing Arts, among others. Over the years, Scott has also lent his support to a number of healthcare and health-related organizations including Children’s Hospital Colorado and the American Transplant Foundation. A highly respected Denver business leader, Scott Reiman founded Hexagon in 1992. The Reiman Foundation is the non-profit arm of this elite private investment company. As Hexagon’s CEO, Scott empowers every member of his team to actively give back to the community.